Postal workers face management, refusing to distribute missionary fliers being mailed - possibly against the law - to make Jews convert. The anti-missionary group Yad L'Achim in recent days has warned religiously traditional postal workers in the coastal city of Ashkelon that Christian missionaries are sending fliers directly in the mail, full of content intended to bring Jews away from their religion. Once made aware of the issue, the postal workers announced that they do not intend to distribute missionary fliers, given that it harms their beliefs and sensibilities, although the Israel Postal Company is reportedly obligating them to do so in the course of their work. Yad L'Achim lost no time in contacting the postal company's management and asking it to take official action to not have the missionary materials distributed - the request has yet to be answered. Attorney Moshe Morgenstern, who provides legal aid and counsel for the activities of Yad L'Achim, noted that the distribution of fliers through the mail borders on a breach of the law which forbids directly contacting minors to convert them to a different religion. Aside from prohibiting missionary activity targeting minors the law also prohibits such activity conducted with financial incentives, although many have argued the law is not potent or far-reaching enough. In response to the missionary flier campaign, Yad L'Achim has launched a counter-campaign of its own to spread awareness to the threat, distributing public relations materials to all 35,000 homes in Ashkelon, where the missionaries are targeting Jews with their fliers. The materials warn residents against the missionary fliers sent to their homes, calling on them to get rid of the fliers and to contact Yad L'Achim with any questions or considerations that the subversive materials may have raised. 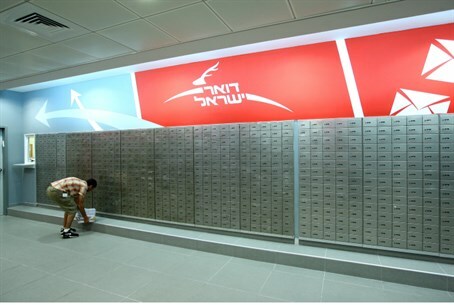 The Israel Postal Company stated in response to the report that "the matter is being checked."